Prominent actor, author and noted philanthropist William Shatner will once again host his annual gifting ceremony and charity breakfast later this month on January 24 at Los Angeles’ Six Restaurant in Studio City. The equine lover will be distributing money raised through last year’s Priceline.com Hollywood Charity Horse Show Sponsored by Wells Fargo to nearly 20 worthy charities around Los Angeles, most of which are predominantly focused on supporting children with special needs and veterans. 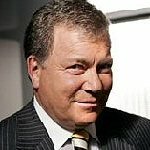 A tireless champion for underrepresented communities for decades, Shatner has helped raise tens of millions of dollars over the last 30 years through his charity horse show, all of which has gone to provide support and backing to a spectrum of Los Angeles-area nonprofits. 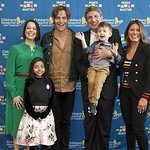 This year Shatner will present funds to 17 vital organizations, including the Children's Hospital Los Angeles, Hollenbeck Police Activities League, A Place Called Home, AHEAD With Horses, ALSAC / St. Jude Children's Research Hospital, Friendly House LA, Painted Turtle Gang Camp Foundation, Pets for Vets and Saddles for Soldiers. For more information on the 2018 William Shatner’s Priceline.com Hollywood Charity Horse Show Sponsored by Wells Fargo, or to purchase tickets or sign up for online auction bidding, click here.